The surprise was demonstrated by Motorola by launching two new smartphones aimed at the middle class market.Both smartphones are Motorola One and Motorola One Power whose presence was announced through blogs and also the official website. Intrigued by the embedded hardware specifications? The Motorola One is packed with a 5.9-inch FullHD + screen panel. 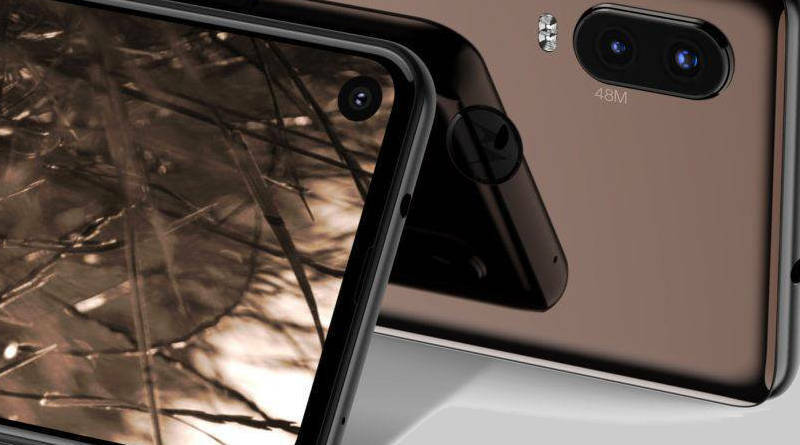 The aspect ratio of this smartphone has also appeared recently, namely 19: 9 and there is a bangs at the top of the screen. While on the back panel, this smartphone is packed with glass material. There is dual-camera support and also a fingerprint scanner. The main sensor of this dual-camera is 13 MP. Unfortunately, the secondary sensor is unknown. As for the front camera 8 MP. Also mentioned, this smartphone has been equipped with the Snapdragon 625 chipset . Meanwhile, the Amazon site in Spain also revealed that the Motorola One has 4 GB of RAM combined with 64 GB of storage and a 3000 mAh battery. Unlike the Motorola One, Motorola One Power is a smartphone that has a slightly larger screen size. This smartphone comes with a 6.2 inch FullHD + screen. It also has the same bangs and aspect ratio as the Motorola One, which is 19: 9. This smartphone is driven by Snapdragon 636 brain combined with 64GB of storage capacity. Unfortunately, there is no mention of the size of RAM embedded, as well as battery support. But it can be expected, the pinned battery has the ability to last up to a day. So, what is the attraction of these two smartphones if the screen size and brain differ only? Motorola puts Motorola One and Motorola One Power into Android One . Of course interesting because both will be promised to get Android 9 Pie updates faster. Regarding prices and availability, it is stated that the Motorola One will sell for € 299 or around Rp5 million and will be available in the coming months in Europe, Latin America and Asia Pacific. While the One Power price is still kept secret and will be sold starting October 2018 in India. We hope, Motorola also wants to bring these two smartphones to the Indonesian market. That way, the competition in the middle class that brings “Android One” is becoming increasingly exciting. The reason is, Xiaomi also promises to bring the Mi A2 to Indonesia which also comes as an Android One smartphone. Previous post Huawei Kirin 980 is smarter and more powerful, this is the secret!